Amsterdam is the capital of bicycles. I can’t imagine a life here without having my bike, however I often feel sorry for the poor tourists who walk in slow motion to the opposite of the road, but then got scared to death by a loud ringing mad man (or woman) on a bike. Welcome to Amsterdam! Bikes pop up in many sizes and types at the streets of Amsterdam. We transport everything we want on our cycles: from dogs to girlfriends to kids. Besides that, Amsterdam people are multitasking cyclists. They press their feet on the pedals, listen to music on ridiculous big headphones and… they are Facebooking or Whapping at the same moment (of course they also use their telephones to call on their bikes, easily!). Yes, cycling in Amsterdam is quite phenomenal. 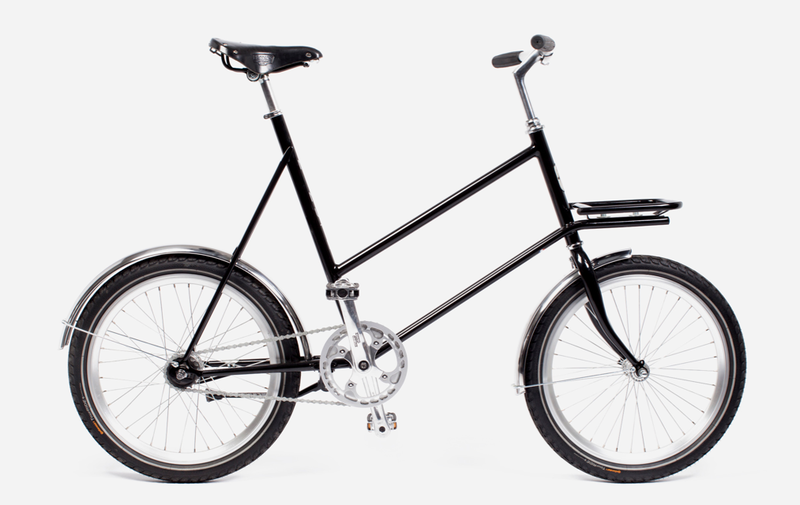 New is this cute city bike, the Minute (pronounced the French way). This mini commuter – a small bike for great minds, as the press release calls it – has remarkable small wheels. It is inspired by the Mini Velo, immensely popular in Asia. Minute is the brainchild of Elian Veltman, a young, talented yet very experienced engineer, especially known for his handmade custom bikes and acclaimed Cargo bike. The small wheels of Minute are a deliberate choice. Small wheels are stronger, lighter and more agile. And when it comes to speed, small wheels are not inferior to big wheels. Quite the contrary, many bicycle speed records have been achieved on small wheels. Oh my! Those poor tourists! Minute comes in a men’s and women’s edition and will be sold in the course of 2014. The first hundred bicycles are offered in pre-sale as a limited edition, uniquely numbered and finished with stainless steel fenders and a Brooks saddle via www.100minutes.nl. At the website you can choose a number and reserve your Minute by making a down payment of 100 euros. 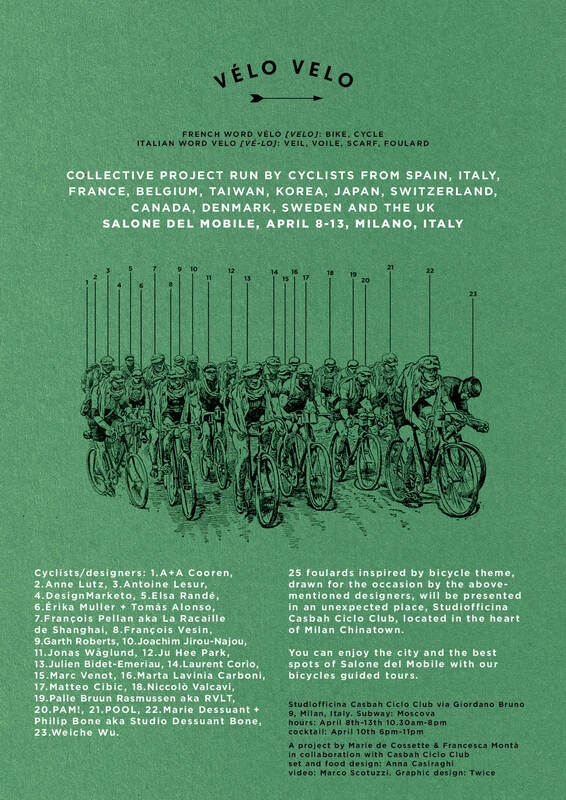 Talking about bicycles.. I’ve just received this invitation for a cool cycling event at the upcoming Italian design happening Salone del Mobile, but I wonder where are the Dutch designers?!? Check also the FB event page with more details.